It seems hard to believe that we are entering the final two weeks of the 2018-19 NHL regular season. 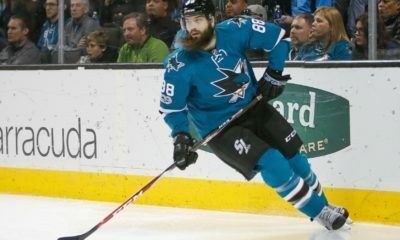 With Saturday, April 6th marking the final day of regular season play, there are several notable storylines worth following and questions to be answered as the push for the Stanley Cup Playoffs heats up. 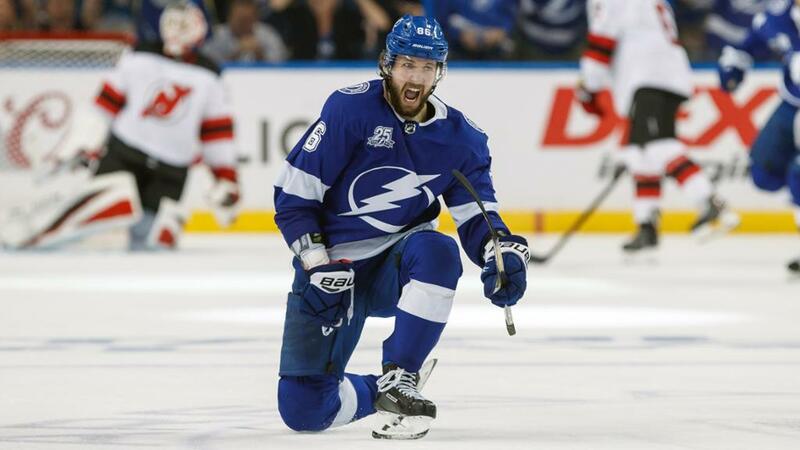 The Tampa Bay Lightning (59-14-4) have put the rest of the National Hockey League through a stormy onslaught unlike any in recent memory. With five games remaining on the schedule, Tampa Bay has a chance to tie or even break the all-time record for wins in an NHL season of 62, set by the 1995-96 Detroit Red Wings. While the team’s ultimate goal is of course to win the Stanley Cup, the opportunity to chase such a prestigious record doesn’t come around all that often. Only one other franchise besides that Red Wings team has reached 59 wins and that is the Montreal Canadiens. The team did it in back to back seasons from 1976-78, totaling 60 and 59 wins respectively those years. Both of those Canadiens teams would successfully transition their dominance to the postseason and go on to win the Stanley Cup. It is worth noting that if the Lightning, (currently 122 points) managed to win out over the final five games, they could also tie the record for most points in a season set by the 1976-77 Canadiens at 132. Neither record is an easy task, but with the way Tampa Bay has been playing, anything is possible. Rewind a little over a month to when the NHL trade deadline was on the horizon. With the team’s two biggest stars, Artemi Panarin and Sergei Bobrovsky publicly saying they would not like to resign, the Columbus Blue Jackets faced a major dilemma. In the thick of the playoff race in the crowded Eastern Conference, should they trade away their stars for value, or bolster the roster to try and deliver the city of Columbus its first ever Stanley Cup? Their decision became evident when trades were made to bring in Matt Duchene, Ryan Dzingel, Adam McQuaid and Keith Kinkaid. The Blue Jackets were transforming themselves into win-now-at-all-cost contenders. All of the additions made to the roster certainly sound great on paper. In reality however, the impact has been quite underwhelming. Columbus is just 6-6-1 in the month of March after acquiring the reinforcements. The subpar stretch has seen them slip in the Metropolitan Division and Eastern Conference standings where they now find themselves on the outside looking in if the playoffs were to start today. Columbus’ current record of 42-30-4 (88 points) has them two points behind the Montreal Canadiens for the final playoff spot in the East. With the Carolina Hurricanes currently at 91 points, it certainly appears to be shaping up as a three-team race for two available Wild Card spots. Both Columbus and Carolina have six games remaining while Montreal has five left to play. For the Blue Jackets, the pressure is on to make something of their big deadline moves. A playoff miss coupled with all of the unrestricted free agents on the team would be the worst result imaginable. Of the four NHL divisions, only the Atlantic Division has been clinched thus far by the aforementioned Tampa Bay Lightning. And while they are yet to officially clinch, the Calgary Flames (47-22-7, 101 points) have a pretty firm grip on the Pacific Division as well. The two divisions that are likely to provide plenty of drama and excitement down the stretch of the season are the Metropolitan and Central. As far as the Metropolitan Division is concerned, the defending Stanley Cup champion Washington Capitals currently sit atop with 98 points. Nipping at their heels are the Pittsburgh Penguins and New York Islanders, each with 95 points. All three teams have played 77 games, leaving each with five remaining. Interestingly, only one of those games pits two of these three teams against each other as the Capitals host the Islanders on the final day of the regular season. Needless to say there will be a lot of scoreboard watching over the next two weeks. In the Central Division, there are another three teams all separated by a mere 4 points. The Winnipeg jets (45-27-4) currently sit atop with 94 points. 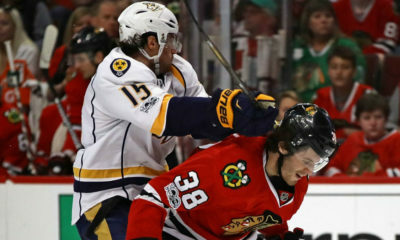 Just behind are the Nashville Predators (43-28-6) with 92. The St. Louis Blues (41-27-8) have seen their remarkable second half resurgence positon them to vie for the division crown as well. Their 90 points have them just four back of Winnipeg. Similar to the Metropolitan race, there are no games remaining between the three Central Division title contenders. All three teams do have games down the stretch against teams who are in the hunt for a Wild Card spot in either the Eastern or Western Conference. With different races impacting each other, it should be a tight finish all the way around. It’s pretty incredible to realize every team in the Western Conference has played at least 76 games and yet the standings remain incredibly tight with but a few points separating several teams. This year, it may only take around 86-88 points to snag the second Wild Card spot in the West, and this has several teams thinking they still have a shot. If the season were to end today, the Dallas Stars would be locked into the WC1 spot with 84 total points (39-31-6). Behind them, the Colorado Avalanche (34-29-13) and Arizona Coyotes (37-33-7) sit tied with 81 points apiece. 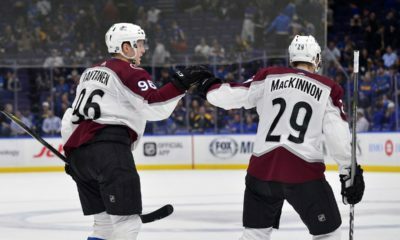 The Avalanche do have a game in hand on Arizona however, so the edge would go to them assuming they could pick up a single point in that game. But the list of teams with a shot at sneaking into the playoffs doesn’t end there. The Minnesota Wild (35-33-9) are next in line with 79 points. The Chicago Blackhawks (33-33-10) and Edmonton Oilers (34-34-8) also can’t be counted out, with 76 points each. It’s really anybody’s ball game and it will be fun to see whether the current Wild Card place holders can distance themselves over the next week, or if we are set up for chaos right down to the finish.